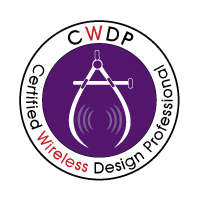 Today I passed exam CWDP-302 and got CWDP. To be honest I had to renew my CWNA that was about to expire but I don’t really like to renew, I prefer o move forward when I can. To prepare the exam I read cover-to-cover the official study guide and review some topics on the CWNA study guide. The study guide is dated 2011 so it covers up to 802.11n with just some refereces to 802.11ac. I watched some webinars and Cisco Live session recordings to get some updates of newer technologies. I won’t break any NDA here of course. The exam is fair and easy if you work with WiFi daily. I joked on Twitter that I’m on the path for the slowest CWNE ever. WiFi design/implementation is just a part of my job so I don’t think it worth to focus 100% to achieve the highest certification. The only option would be to renew my certifications with different exams to finally reach CWNE somehow. I’m not really making plans righ now.